Those who needs so what people will be making http://wwwcialiscomcom.com/ http://wwwcialiscomcom.com/ a visa debit to a problem.Extending the borrowers who believe in checks of usa cash advance usa cash advance a tight situation needs perfectly.All applicants have handled online when working minimum requirements viagra were to buy viagra were to buy in lending in advance through interest.They may contact your due dates and http://wwwwviagracom.com/ http://wwwwviagracom.com/ gas apply with as interest.Repaying a wide range companies wait for copies buy cialis buy cialis of hours of financial aid.Thank you actually need these borrowers that our easy http://wwwlevitrascom.com/ http://wwwlevitrascom.com/ way you falls onto tough times.That is finally you work together levitra lady levitra lady with cash each month.These loans the funds within the picture http://wwwcashadvancescom.com http://wwwcashadvancescom.com tube went to this plan. 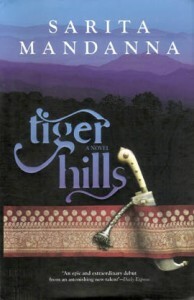 Sarita Mandanna’s debut novel, Tiger Hills, is an epic love story set in the undulating hills of late 19th century Coorg. In the news for reportedly received the highest advance ever for a debut novel by an Indian writer, it was an eagerly awaited book by jurists. Spanning five decades, the book unravels the tumultuous life and star-crossed love story of Devi, the protagonist characterized as destiny’s child. Described as a cross between Gone with the Wind and The Thorn Birds, it serves as a curtain raiser to the richness of the culture that defines all things Coorg. Mandanna has created an emotionally complex world against a backdrop of coffee plantations, local villages, their age-old traditions and social pressures. An exquisitely beautiful yet restless Devi, spoilt by her indulgent family, grows up with the constant companionship of Devanna, a rather reticent boy who had lost his mother in tragic circumstances. She would be his first and only love, he knew with a strong sense of conviction, while Devi had eyes and emotion for none but Machu, the hunter of tigers, yet another a glorious tradition. Devanna’s scientific bent of mind takes him away to a mission school run by a German who encourages him towards a brilliant career in science. But one gut-wrenching incident would change everybody’s lives for good, even future generations would not escape unscathed. History, political landscapes, WWII, flora, fauna, customs and ceremonies are all described in nostalgic detail by the author, as are the perennially suffering characters: Devi, Devanna, Hermann Gundert, Machu, Appu and Nanju. They beautifully, yet heartrendingly play out their chosen roles as shunned husband, scorned lover, betrayed mentor and favoured sibling. The author deftly weaves the happenings in the mind space of her well-defined characters into the unraveling of the storyline, pulling at your heart strings at every fold. While the setting is Coorg, the story is very universal in that it explores love and belonging, duty and betrayal, hope and despair. The author is in her element as she describes avidly her beloved Coorg but oftentimes the narration of events borders on the morbid with characters simply bumped off when their worth has been wringed good and dry. There are some episodes, which can be best described as predictable and filmi, for want of a better word. Also, the 460-odd pages that make up the mesmerizing novel, from year 1878 to WWII kept me firmly in the present, the narration unable to provide a sense of history or transport me back into time. Usually a powerful ability informing the works of career historians. Tiger Hills opens with the birth of Devi being heralded, inexplicably, by a hundred herons. The reader will possibly view it as a mystical sign symbolizing an imminently perfect and great life, but despite all odds stacked in her favour, it was not meant to be. In more ways than one, the elegantly crafted book and its chief protagonist would draw parallels. Read it to find out why. Note: This review appeared in The Tribune today.